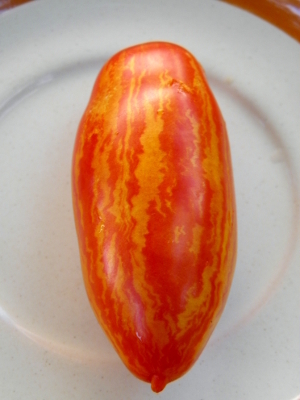 These are medium to large pink beefsteaks averaging about 8 ounces.They are more round than oblate and quite dense with a fine, sweet flavor. All the fruit was dimpled on the shoulders. The plant stands about 5-6 foot and is a sturdy and dependable producer. I picked them throughout the summer and up until frost hit the fields.